Reintegration Phase 3. Vinegar. – 30 Day Detox… What?? Let’s recap. In Phase 1 I tried peanut butter. I was SO excited to try it again. Too excited. I called it quits on the second day, because it made me feel so yucky. In Phase 2 I tried fruit, and it was extremely anticlimactic. I missed bananas a little, but it’s no big thing if I don’t have them, so I may as well not, right? This brings us into Phase 3, the most anticlimactic of them all. It does not make or break my day to not include vinegar in things. 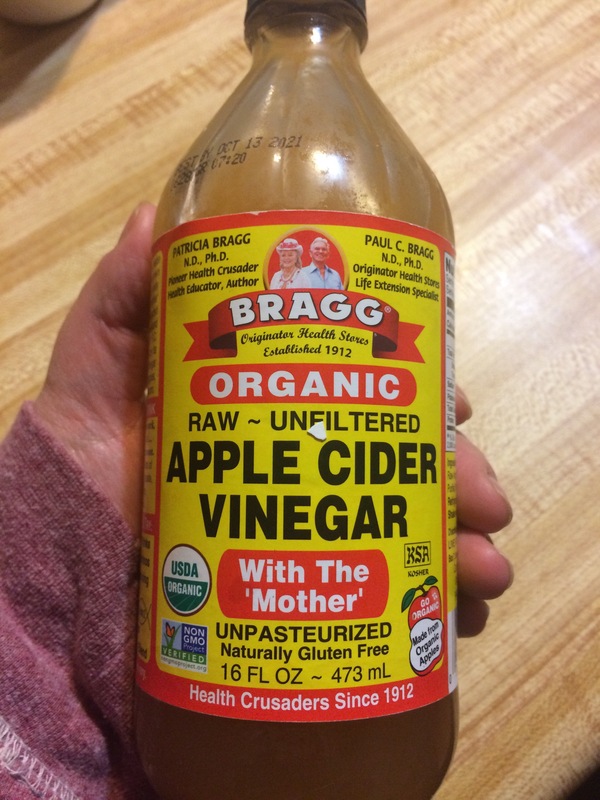 For clarification, during the detox, we used Bragg Organic Apple Cider Vinegar with The ‘Mother’. Not my mother, the vinegar’s mother. Or whatever. Maybe it’s the baby mama. Anyway. Any vinegar we would want to use was easily replaced by that stuff. Side Note: There’s a new fad diet some kooks are using and promoting that involves daily doses of this stuff. Read about it here: Apple Cider Vinegar Craze. Seriously though. What the hell is the big deal about vinegar, anyway? We used vinegar maybe three times during the 30 Day Detox. Guess how many times I used it before the detox? Maybe three times in 30 days. I have not lost or gained anything with this Phase. Obviously, it is not a culprit if it has never been a consistent part of my diet. For the sake of science and follow-through, I experimented with chicken wings today. I didn’t want things to come to this, but it had to be done… That’s a lie. I’ve wanted things to come to this for a couple of weeks. We made half of the wings in our air fryer, and the other half on the grill. If you’ve never grilled your wings, I recommend it. They get crispy without the extra fat from a traditional fryer, and they get a little extra flavor. I was surprised how nice they turned out in the air fryer too – crispier than the grill. The experimental item on the menu was Frank’s Red Hot Sauce. God, I love that stuff! Its hot, its vinegar-y, it’s tasty, and it’s what chicken was made for! It’s not organic, and I didn’t read the label. I didn’t want to tell myself “no” on this one! I came, I saw, I ate wings. And they were great! I read the label later. Other than not being organic, it’s legal! The one hang-up I had was not dipping in blue cheese dressing. Ranch comes in at a close second, so I decided to make some. I also decided to make my own mayo which is the main ingredient. The homemade mayo was very loose, so I thought adding in a little avocado would help. 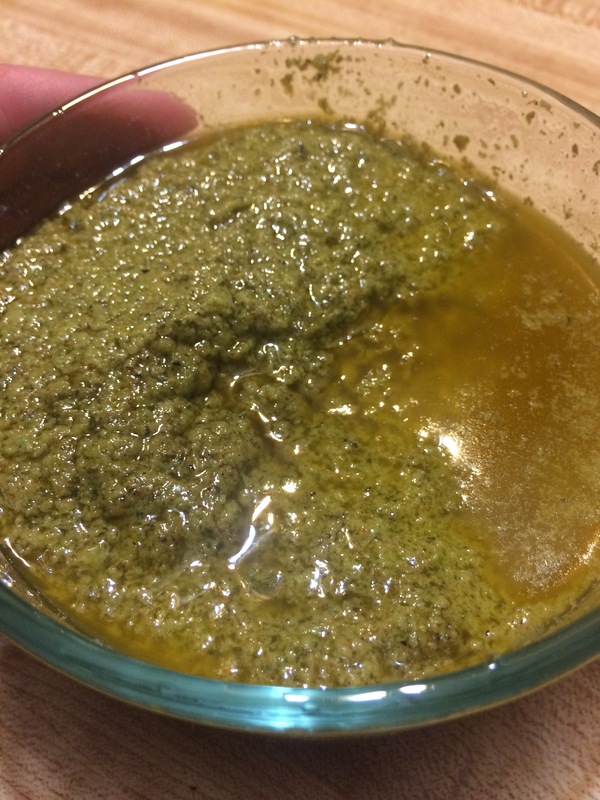 I mean… it did make the sauce thicker, but now the whole thing looks like, well… Did you ever hear the camp song, Great Green Gobs of Greasy Grimy Gopher Guts? Previous: Previous post: Reintegration Phase 2: Fruit. For Real.